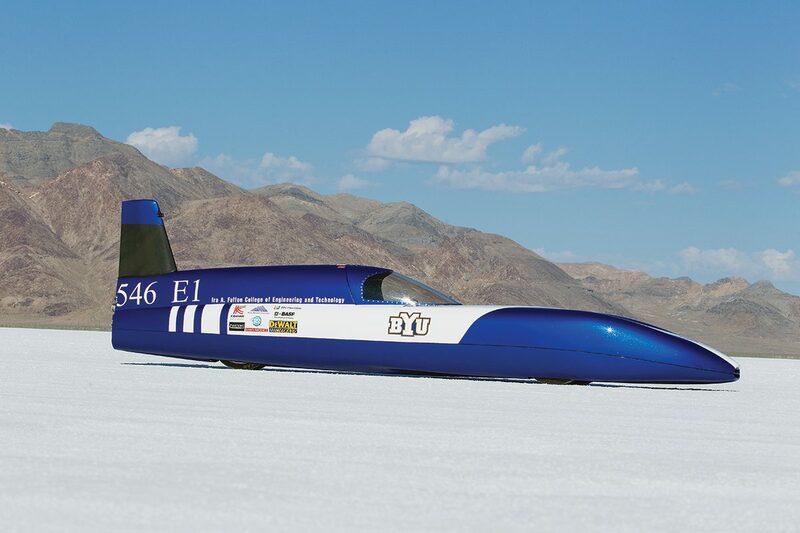 In September BYU’s sleek electric streamliner whirred across Utah’s Bonneville Salt Flats and into the record books. The historic run is the culmination of more than seven years of intense engineering on the part of the BYU Racing Team; more than 130 students contributed to the streamliner’s design and construction. The carbon-fiber-wrapped racer, which weighs less than 1,100 pounds, is powered by 880 lithium ion batteries pulled from DeWalt power tool battery packs.